The ten songs on No Clothes on Ragged Island are based on the life of New York poet Edna St. Vincent Millay. This project was conceived by Kevin Peckham and Karl Ward on February 20, 2010. Each song is a scene from the poet's life, told in chronological order. All songs were written on February 21, just one day shy of Millay's 118th birthday. Arrangement, recording, and mixing were completed within one week. 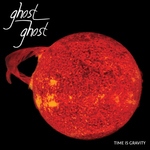 This album was released on March 1, 2010. In 1913 Edna St. Vincent Millay, a poor girl from a small town in Maine, entered Vassar College in the Hudson River valley on a scholarship based on her potential as a poet. Millay eventually went on to become one of the most famous poets of the world during the height of her fame. This song chronicles her feelings about her time at Vassar based on poetry she wrote as a student and after. 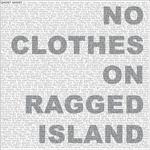 This song is from a concept album called "No Clothes on Ragged Island based on the life of poet Edna St. Vincent Millay. The project was conceived by Kevin Peckham and Karl Ward on February 20, 2010, as part of the RPM Challenge. Each song is a scene from Millay's life, told in chronological order. Will you run after me? Will you turn away from me? When I am least true.